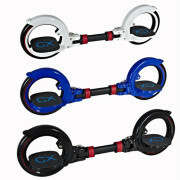 Orbit wheel skates are becoming increasingly popular and it’s not hard to see why. A combination between a skateboard and inline skates, orbit wheels take advantage of the best features of both. 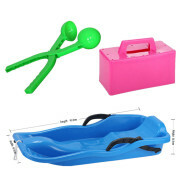 These skates are perfect for children because they are fun but also promote exercise, which is sorely lacking in most children’s lifestyles nowadays. So, let’s take a look at how to choose orbit wheel for your child to make their experience as enjoyable as possible. Learning how to choose orbit wheel for your child first requires understanding the skates themselves. So, these skates are similar to skateboards and inline skates but are certainly simpler and more flexible. In terms of design, these skates feature two large wheels with footrests in the middle. 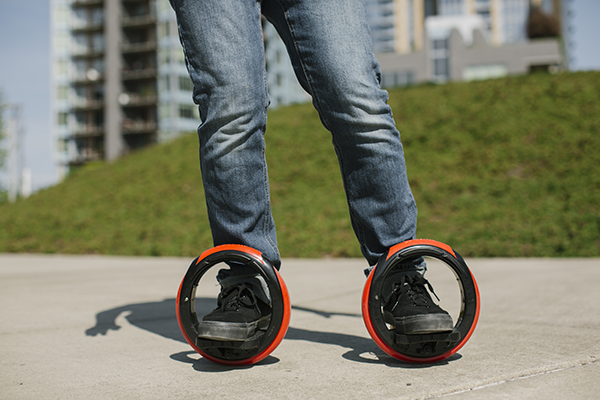 When you put them on, the wheel is basically sideways onto your feet, which means you’ll be rolling sideways. The unique movement and positioning offers a lot of opportunities for great maneuvers and tricks, with your imagination being your only limitation. They are simpler than inline skates and skateboards because all you have to do is place your feet on the footrests and you’re good to go. You don’t need to strap in, you don’t need to remove your shoes, you don’t really need to do much at all. Moving requires a sideways motion of your feet but once you’re in motion, it’s similar to riding a skateboard as you’ll be moving your feet side to side to keep going. 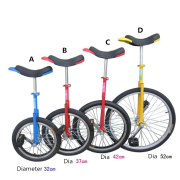 Due to the innovative design, there will be a little bit of a learning curve for children when they first get their orbit wheels, which is something you have to take into account when purchasing the first pair. When it comes to how to choose the right orbit wheel for your child, you need to consider aesthetics as well as functionality. You certainly want something colorful and fun for your child, but you also need a pair that is good quality so they’ll last. There isn’t much of a difference other than aesthetics between orbit wheels, making it easier to choose the right ones. However, don’t be tempted to buy a cheap pair, because the quality of materials is very important and you want a sturdy pair to avoid any unpleasant accidents.